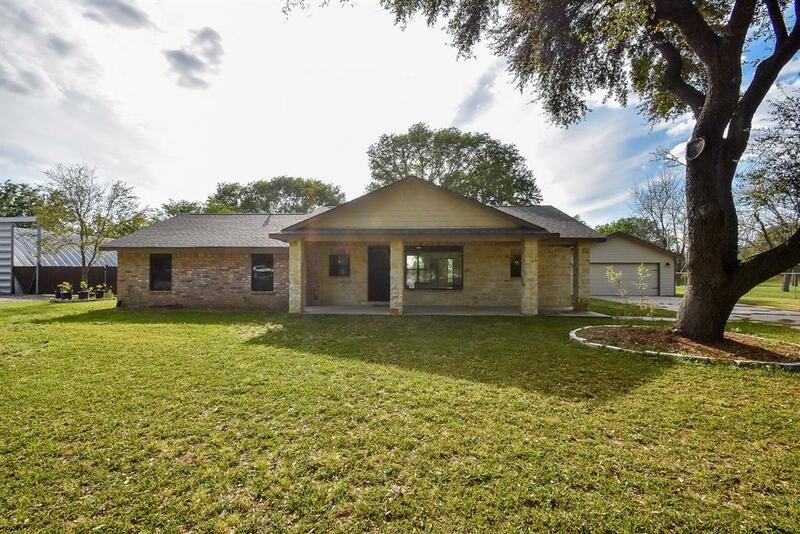 Totally renovated home situated on over an acre in Old Katy! 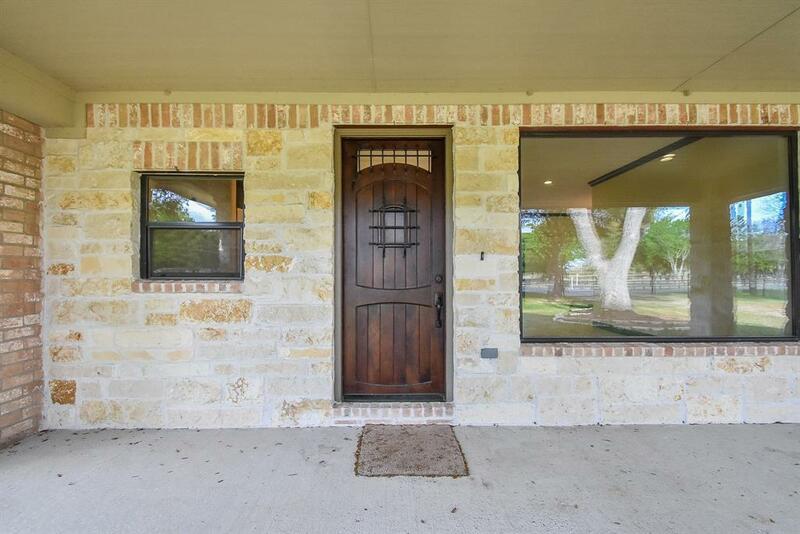 Exquisite 8' Mesquite wood front door & Front porch w/ stone pillars. Travertine tile throughout the spacious main living space. Amazing kitchen with granite c-tops, stone backsplash & custom mesquite wood cabinetry w/ SS appliances. Huge Gameroom w/ backyard access is the perfect spot for entertaining family & friends. Master Retreat features high ceiling, crown molding & W/I closet. Ensuite master bath features custom vanity cabinetry, granite c-top w/ undermount sink & designer tile adorns master shower. Hall bath features the same designer features w/ tiled tub surround. 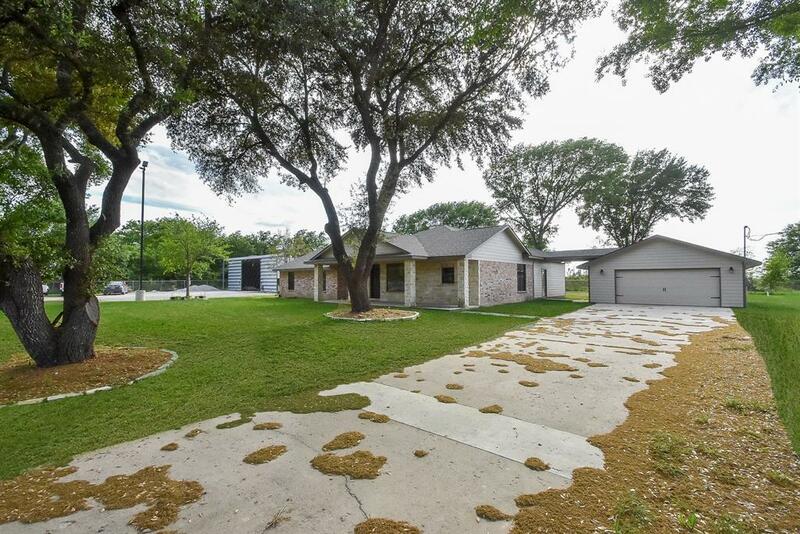 Enjoy backyard BBQ's on the Large covered back patio overlooking the huge Oak tree's. 50 x 100 round metal barn has it's own electric meter. 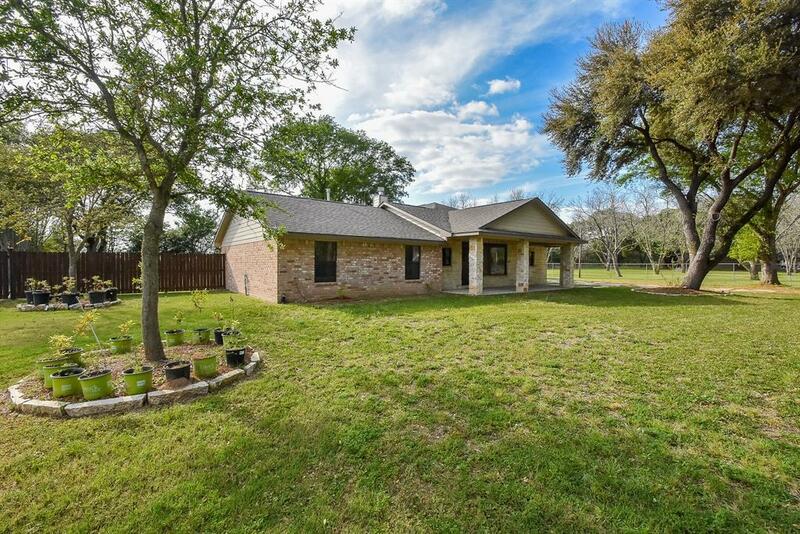 Enjoy quiet country life but yet minutes from The Grand Pkwy & I-10. Schedule a private tour of this exquisite home today! Exclusions Tools & Materials in The Barn.